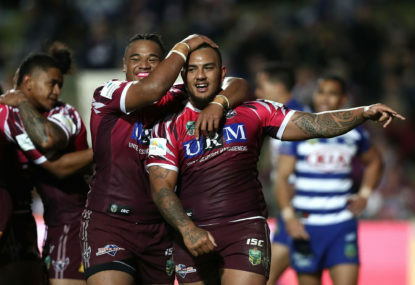 Slater defence to fight ban saying "at least he was wearing pants"
The team will also tender the results of an internal review in to the tackle, which was deemed unpunishable and “consensual” by a panel of judges from the Storm and Queensland’s banana belt. To further underpin their argument, new footage of the tackle will also be presented showing Slater’s face conveniently obscured by a Rabbitohs emblem. 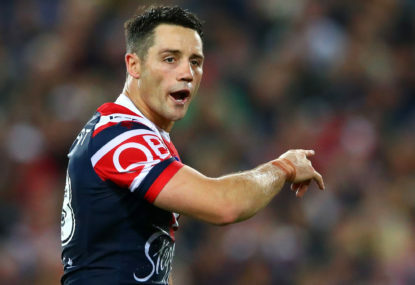 Melbourne are confident the fresh evidence can cornerstone its challenge against the fullback’s two match ban for an alleged shoulder charge on Cronulla’s Sosaia Feki. Slater’s judiciary hearing to determine his dream finale is set down for this Tuesday night, thus leaving grand final week one hyperbaric chamber short of a royal flush. 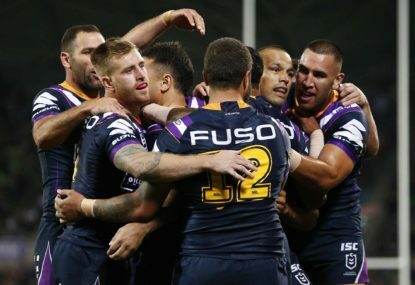 The Storm believe they have a strong case after their internal review reportedly concluded it was not a shoulder charge, but a selfless attempt to save the Sharks winger from impaling himself on the corner post. The panel also determined the footage obscures the act of Slater tiptoeing towards Feki with a bunch of flowers, which he was planning to deliver to some sick kids. Was this a shoulder charge from Billy Slater? The Storm’s legals also plan to present comparisons to the court proving the severity of his tackle is minor alongside other various acts of foul play, with most examples being Slater horizontal with studs-up. Slater’s ban presents a delicate scenario for the game’s administration, with many comparing the possible destruction of his swansong to the cold-blooded slaughtering of a Bambi with breathtaking quads. The NRL’s argument will be headed by a little-known ‘consultant’ who simply describes himself as “Honest Randy”. Additionally, he has worked closely with Tim Simona and Sally Robinson, and is also the great grandson of notorious referee Darcy Lawler. 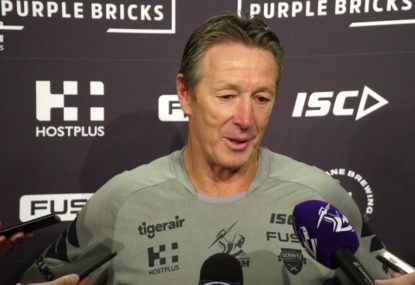 But despite promising a case with “only one possible outcome”, Honest Randy says he will graciously accept whatever decision is handed down by the NRL’s three-man judiciary panel of Mal Meninga, Craig Bellamy and Billy Slater. 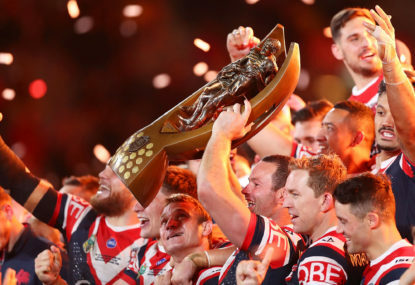 An NRL grand final rematch headlines Good Friday NRL action, with the Melbourne Storm set to host the Sydney Roosters in the second match of the day. This is The Roar’s guide to streaming the match online, or watching it on TV.